Hi blog reading people! This is our first post (unless one of my co-bloggers types fast) and my first post for sure so I'll say a little bit about my food philosophy. I am lucky to be able to find and afford many organic and natural foods. I am a recovering vegetable-phobe discovering new ways to add them to my life, and loving it. I have a sweet tooth that could turn a whole kindergarten class hyperactive so I will likely feature dessert here on a regular basis. I love to bake my own bread when I have time. I own a lot of diet/weight loss cookbooks, but I am not on a diet. I often find myself adjusting recipes to add back healthy fats or natural sweeteners where it calls for artificial flavorings. I had a cooking-intensive weekend, but it paid off today as I had a mostly stress-free dinner with my in-laws, not to mention plenty of other good food! I started my morning with Maple Spiced Oatmeal with Currants before taking my toddler to church for Easter services. Even the kid liked it--she usually rejects oatmeal but she took a few bites of mine before requesting yogurt and a banana. Also before we left, I got started on dinner--Lemon Chicken in the slow cooker. When we got back home, my husband had just put Smitten Kitchen's Boozy Baked French Toast, which I threw together last night, into the oven. Paired with some spiked coffee, it was the perfect way to relax and feel festive before my in-laws arrived for egg hunting and dinner. Dinner was the aforementioned braised whole chicken, artichoke mashed potatoes, roasted broccoli with crispy prosciutto and balsamic vinegar (from Nom Nom Paleo), and wine--a nice California white blend. I knew we would like the broccoli, but the potatoes were the hit of the table. Even my father-in-law, who isn't a big potato guy, had some. 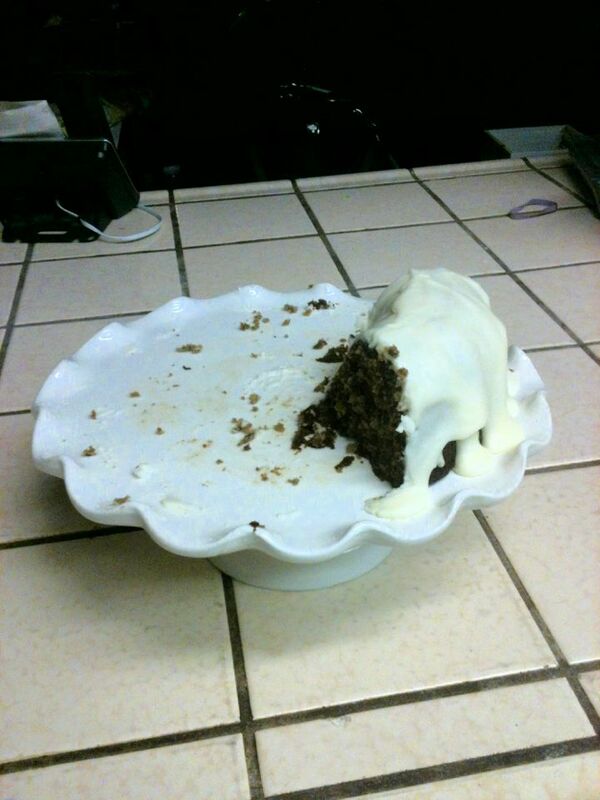 Finally, we topped it off with banana spice cake (bundt style) and cream cheese glaze, the leftovers of which I managed to photograph before my roommates gobbled it up. I'll take more pictures in the future, but we just had the idea to start the blog tonight and I was so excited about today's food I had to share! I've linked recipes above where I got them online, and the couple from cookbooks are below. Boil water in a medium saucepan. Stir in oats and bring to a boil, then reduce heat to low and simmer, uncovered, for 20 minutes, stirring occasionally. Add the currants and cook for 10 more minutes, stirring frequently. Add the maple, cinnamon, and allspice at the very end, and add milk as needed to achieve your desired consistency. I immediately divided it into four containers and now I've got breakfast ready to go a couple mornings this week! Combine garlic, oil, oregano, salt, and pepper in a small bowl. Rinse and pat dry the chicken, then gently separate the skin from the meat on the breast, thighs, and legs. Rub half the spice mixture under the skin and half in the cavity of the chicken. Heat and grease a large skillet over medium-high heat. Add the chicken breast side down and brown, turning frequently, for 6-8 minutes. Transfer to a 5- or 6-quart slow cooker. Add broth to the skillet and deglaze, scraping the brown bits from the skillet while the broth boils briefly. Add 1 Tbsp. of lemon juice and pour the liquid over the chicken. Cover and cook until fork-tender (3-4 hours on high or 6-8 on low). About 20 minutes before cooking time is over, stir lemon zest into the remaining lemon juice and pour into the slow cooker. Cover and cook on high until fragrant. Transfer chicken to a platter and serve with the broth as a sauce. Mix all ingredients in a bowl. Heat in a microwave oven for 15 seconds. 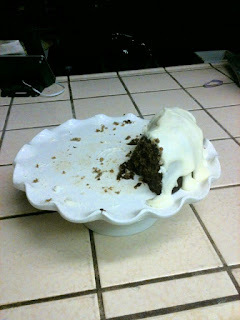 Drizzle spoonfuls over a cooled cake.